Your Lock, Key, Security system and satisfaction is our business. Anytime Locksmiths Ltd. is a UK registered, nationwide locksmith service provider, with experience in locksmithing and security since 2004. Anytime Locksmiths work with fully trained and certified locksmiths' who are prescreened and checked prior to joining the team. Our reliable and professional locksmiths take full responsibility for all work carried out with 100% satisfaction guaranteed for all services. We check up on our technicians from time to time to ensure continuous high quality work and positive feedback from customers. Our locksmith services extend throughout England. In some areas we work with local self employed technicians servicing the area. The technicians chosen are all top certified locksmiths who are all prescreened and monitored regularly. All work carried out is fully guaranteed so you can be assured you are getting the best possible service at a most competitive price. All lock fittings are of the highest standards, our locksmiths carry and install British Standard locks such as the 5 lever Chubb mortice lock required by most insurance companies (BS 3621) for external doors. Our other high quality products include Yale locks, Banham lock and keys, Ingersoll locks and all other major brand name lock and security products: Mul-T-Lock, Bramah, Era and Unican. Our complete 24/7 emergency, auto locksmith and security services across the country means that whether you are stuck on the M25 near Fulham & Hammersmith or along the M6 by Preston with a car key problem you can be assured the same locksmith provider that serves you at home will arrange for help in no time wherever you are. One phone call can take care of all your security needs for your business premises in London, Manchester or anywhere else in the UK. We can provide technicians nationwide to examine the property, recommend solutions and carry out all necessary work in the particular location. 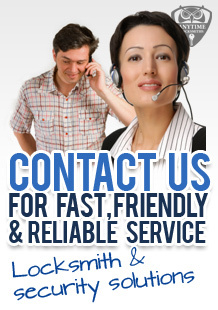 Anytime Locksmiths - Call Now 0330 088 2969 - The best service at any time.